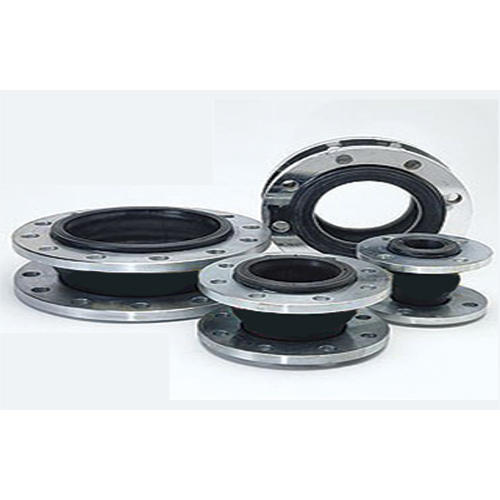 We are engaged in offering our valued clients a very sharp quality range of Rubber Expansion Joint. Our range is made in confirmation with the specific quality standards and can also be customized as per the details given by the clients. Our range is available at market's leading prices. We offer Rubber Expansion Joints are often included in industrial piping systems to accommodate movement due to thermal and mechanical changes in the system. Expansion joints with metal flanges are designed to accommodate certain movements while minimizing the transfer of forces to sensitive components in the system. Absorption of vibrations in pipes, caused by changes to temperature, etc. Also in pumps, deposits, machines, engines, etc. Absorption of all types of movement, such as axial compression, axial elongation, lateral and angular deviations, etc. Looking for “Rubber Expansion Joints”?